While using your existing lender may be easier, you may not always get the most competitive rates or terms without shopping around. 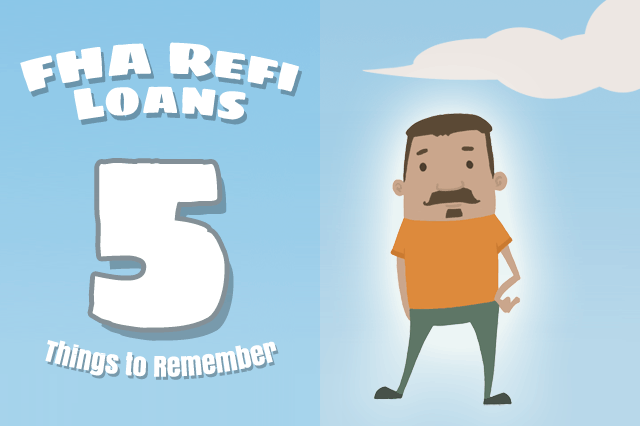 Any participating FHA lender offering the refinance loan you seek can help you; don’t feel limited to the financial institution that originated your first loan. The FHA refinance loan that is ONLY for existing FHA mortgages is the FHA Streamline Refinance loan. FHA cash-out and no cash-out refinance loans can be used for FHA mortgages or non-FHA loans including conventional, USDA, VA, etc. Except for FHA cash-out refinance loans, you can’t get an FHA mortgage with cash back to the borrower. But you CAN apply for extra loan funds to make approved upgrades to the home that will save money on utility bills. This is an option known as the FHA Energy Efficient Mortgage and requires the use of escrow to disburse funds for the purchase of labor and materials. Your loan officer can explain what projects/upgrades are eligible to be considered under this FHA loan add-on, and you will work with the lender to estimate the savings on utility bills once the upgrades have been installed. This may require the use of an energy consultant; your lender can provide all the information you need to get started. FHA loan rules state that at least one person obligated on the original mortgage must be on the new loan; those same rules add that you are permitted to refinance a home loan to remove a co-borrower. Whoever is obligated on the new loan must agree to occupy the property as their home address and primary residence. The FHA 203(k) Rehabilitation Loan is available as a forward mortgage but also as a refinance loan. An FHA 203(k) refinance can be used to repair an existing home; major structural work is possible with the standard FHA 203(k) while smaller projects that do not require structural work can be done with an FHA limited 203(k). These refinance loans will require the use of escrow, and loan funds are not intended to go to the borrower for unspecified purposes. Your rehab or renovation project will require you to work with approved contractors and certain luxury add-ons and items are not permitted for this type of FHA rehab loan; the renovations must be on the list of approved projects. FHA 203(k) loans are available for properties that have been built for at least one year at application time.